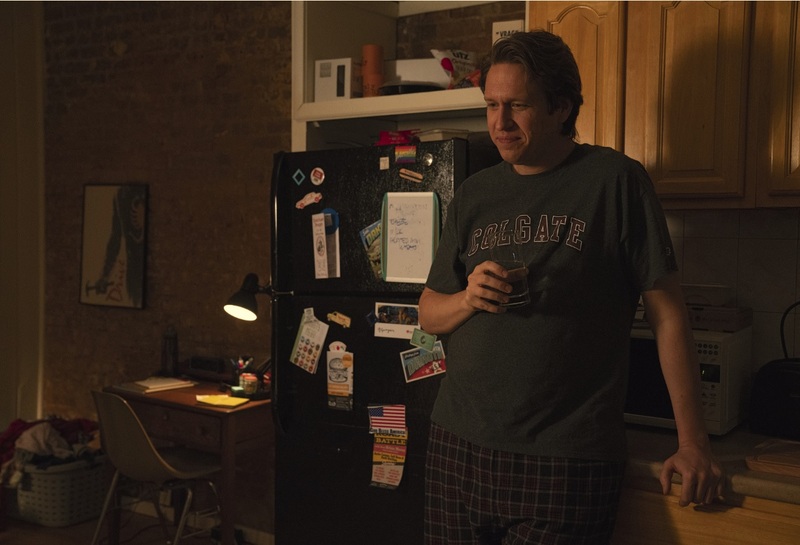 Judd Apatow, Pete Holmes and Madeline Wise talk Crashing's balance between reality and fiction – AiPT! Crashing’s producer and stars talk what makes behind-the-scenes comedy shows work and the dangers of over-sharing. While winter isn’t coming to HBO until April, Crashing returns this Sunday. The third season of the semi-autobiographical comedy starring Pete Holmes finds Holmes’ fledgling counterpart returning from a successful college comedy tour and, soon after, entering a new relationship. I spoke with Holmes, Producer Judd Apatow, and newcomer Madeline Wise, who plays this season’s love interest, Kat, about season 3 at HBO’s New York City offices. In episode 2, Pete meets Kat, and the two jump into an instant relationship. “I think her interest in Pete is she’s been burned in past relationships,” Wise says of her role. “I think she’s been engaged at least twice,” Holmes adds. “Both times to people that she knew for, like, 36 hours,” Wise responds. Judd Apatow, who hasn’t directed an episode since season 1, co-wrote and directed episode 6, which is primarily shot in and around New York City’s famous Comedy Cellar, a location featured prominently this season. As with past seasons, Crashing features a revolving door of guest comedians playing versions of themselves. Series semi-regular Artie Lange returns. With him, Amy Schumer, Dave Attell, John Mulaney, and Ray Romano all turn up, And they don’t always play the most likable versions of themselves. With all the recent films and shows looking at the behind the scenes of the comedy world — from The Marvelous Mrs. Maisel, to Mike Birbiglia’s Don’t Look Twice and the Apatow produced The Big Sick, to this year’s About Nina — I asked Apatow about the appeal of these stories. Crashing season 3 premieres January 20 on HBO.